John S. Shaffer, born in Lyons, Ohio, June 10, 1957; admitted to bar, 1981, Ohio. Education: Ohio Northern University (B.A., 1978, with highest distinction); The Ohio State University (J.D., 1981). Member: Williams County, Bar Association, Northwestern Ohio, Bar Association (President, 1988-1989) and Ohio State, Bar Association (Member: Workers Compensation Committee, 1985-present, Council of Delegates, 2007-2008). 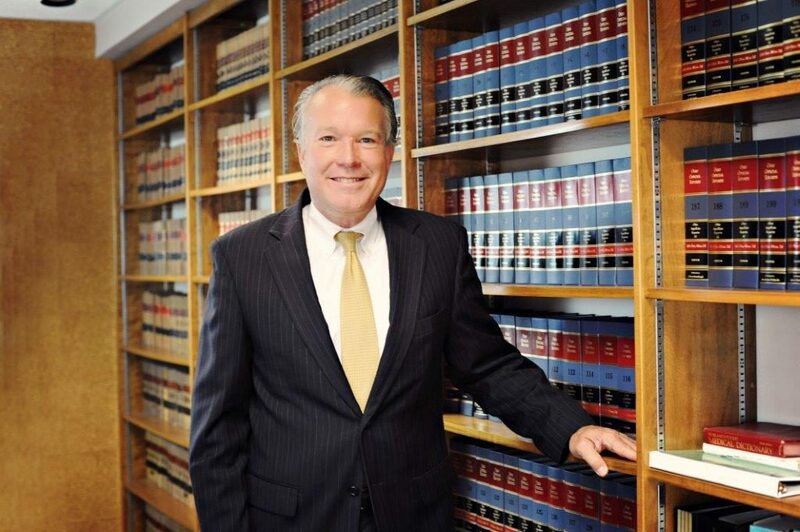 His practice areas of concentration are Commercial Litigation; Plaintiff Personal Injury; Probate; Real Estate; Criminal Defense and Domestic Relations. Mr. Shaffer has served as general counsel for Manufactured Housing Enterprises, Inc. for the past 25 years. The corporation is a leading builder of manufactured and modular homes. In that capacity, Mr. Shaffer has litigated cases throughout the Midwest. He has served as general counsel for Woolace Electric for the past several years. Woolace Electric, Inc. operates a commercial and industrial electrical business in Northwestern Ohio. He has devoted many years of service and support to special needs persons in Northwestern Ohio. He is currently serving on the Board of the Filling Home in Napoleon Ohio, an intermediate care facility for non ambulatory special needs persons. He has also had many years of past service for Quadco Rehabilitation Center, Inc., a sheltered workshop for special needs persons. He currently serves as a member of the Facility Governing Board of Northwest Community Corrections Center, a community based corrections facility in Bowling Green, Ohio serving citizens of Northwestern Ohio. He is married to wife Victoria, a Microbiologist at Community Hospitals & Wellness Centers, Inc., Bryan, Ohio. He has three children, sons Joe, Andrew and daughter Elizabeth. He is an avid sportsman particularly enjoying golf. He is a past president of Orchard Hills County Club. John can be frequently seen at Bryan High School sporting events. He also enjoys wine and was recently inducted into the Confrérie des Chevaliers du Tastevin. Copyright 2019 Newcomer, Shaffer, Spangler & Breininger Attorneys At Law. All Rights Reserved.